As Iran seeks a final nuclear deal with the 5+1 Powers by a June 30 deadline, leading regime figures offered support for President Rouhani on Sunday. Some MPs have challenged the Government over the negotiations, with legislators shouting at Foreign Minister Mohammad Javad Zarif in a session on May 24. Political deputies from Iran and the 5+1 (US, Britain, France, Germany, China, and Russia) return to Vienna on Thursday to continue drafting of the final text of a comprehensive deal. On Saturday, Foreign Minister Zarif and US Secretary of State John Kerry spent six hours in Geneva reviewing the talks and looking to close gaps over the timing of sanctions removal and limits on Iran’s nuclear facilities and uranium enrichment, as well as the issue of inspections of military sites. Iran’s Speaker of Parliament Ali Larijani has reiterated the Islamic Republic’s support for the Assad regime, saying Syria is at the forefront of resistance against Israel. 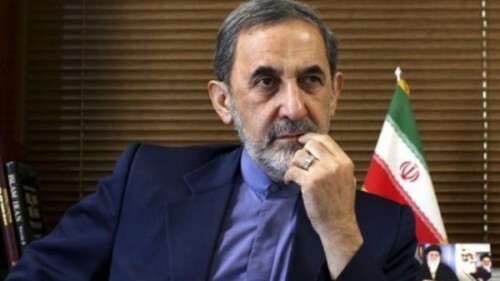 Larijani was hosting his Syrian counterpart Mohammad Jihad al-Laham in Tehran on Monday. The Iranian Speaker said Syrian people have managed through their steadfastness to foil plots hatched by “adventurous” terrorists, and he expressed hope that “the Syrian nation will emerge victorious”.